The devious plan to peddle the country’s corporate database to a private operator met a wall of opposition in recent days: media, unions, civic society groups, the country’s top accounting professional body; all decried the sale with one voice. Instead of confronting its critics though with an explanation of what it was doing and why, the government’s preferred strategy has been: 1. Duck for cover, and 2. Continue to leak to friendly media outlets. The only “news”, which found its way into the business press perhaps via the government’s adviser, the Sydney offshoot of Wall Street investment bank Greenhill & Co, was that a company from Saskatchewan province in Canada had also thrown its hat into the sale ring. The PM’s office was equally elusive. 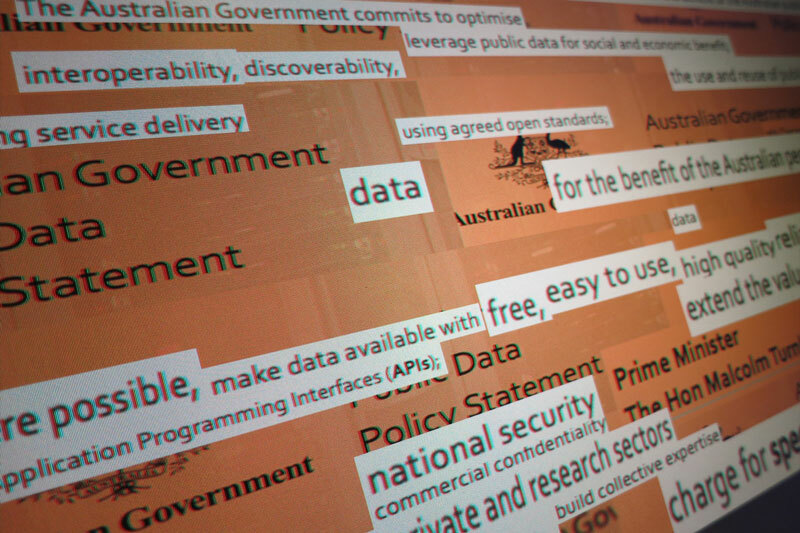 Even the Digital Transformation Office, the agency created personally by Prime Minister Malcolm Turnbull to champion open and accessible public data, has gone to ground. What with all the lofty talk of “roadmaps”, “agility” and “transforming policy outcomes for the Nation”, it is worth looking at the yawning schism between government rhetoric and reality, or policy and practice. The policy is enshrined in “The Australian Government Public Data Policy Statement”, our Data Magna Carta if you like, a high-minded document which espouses making “non-sensitive high-value data open by default”. Already, charges for access to the ASIC database are among the most expensive, if not the most expensive, in the world. It costs $38 for a single digital copy of a set of financial statements. Such search fees contribute roughly $60 million to the Commonwealth in annual revenue. The bulk of the revenue from the mooted $1 billion sale, more than $700 million each year, hails from company lodgement fees. Zero commitment, zero collaboration. Universities, non-government organisations, media and other stakeholders are already charged heavily. This reporter has been trying to access “public” financial statements to continue work in the area of multinational tax avoidance but has been on the receiving end of an epic multi-agency “run-around”. After asking ASIC for access to the supposedly “public” data in May, we were referred to the Department of Finance. The Department of Finance referred us back to ASIC which then referred us to Treasury, which then referred us to the Minister for Financial Services. Almost two weeks later, we are still awaiting a response from the Minister for Financial Services, Kelly O’Dwyer. Again, such data, though theoretically “public”, is already inaccessible due to the high charges. And it will hardly become more accessible if sold because a private monopoly operator will only pay a decent price if it has the ability to 1. Lift the revenue in future by increasing fees, and 2. Leverage that revenue with debt to turbo-charge financial returns, therefore requiring Treasury to agree to a rising and reliable fee schedule. That the Digital Transformation Office is refusing to respond to questions is a worry. Surely the government agency charged with the responsibility of ensuring access to public data should be open to articulating its position on data privatisation. There is another aspect to this: data security. Where will the data be stored, on whose “cloud”? Where will the hosting facilities reside? If in Indonesia, issues may arise as to US transactions and the Patriot Act. There is a minefield of cross-border legal issues to be considered. According to the DTO mission statement: “The DTO believes that everyone who needs government services should be able to find what they need to get it done quickly and easily”. This is hard to take seriously. It is tempting, for pure entertainment value, to call the Office of the Australian Information Commissioner (OAIC, yes this is a real agency) to see what they think about the sale and its implications for transparency in public data. Once bitten, twice shy. Having been spurned in previous attempts to get information about information from the Information Commissioner, we don’t hold out much hope of transforming our approach to the Digital Transformation Office into “quick and easy” access to digital data. There is no economic logic in selling the ASIC database, or in charging high prices for access to it. Big companies enjoy economies of scale when it comes to compliance. They have compliance departments. For the small business sector, high lodgement fees merely constitute a brake on activity, another layer of cost. As for advancing a scheme which assists multinational companies in hiding from their creditors and concealing their tax affairs, that, as far as public policy goes, is a poor joke.